Greatly improved and expanded upon since its debut in the modern form in the late 1800s, the 12 gauge shotgun is a worldwide favorite among civilians, law enforcement agencies, and militaries. 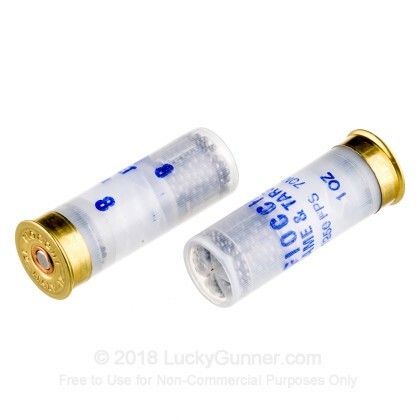 With its massive firepower, the 12 gauge is ideal for hunting, sport shooting, self defense, and government and military purposes. 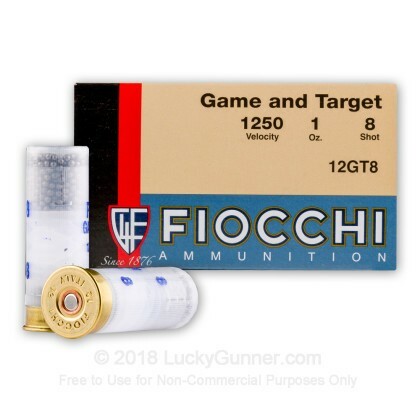 With nearly a century and a half of experience making ammunition and still owned and operated by the founding family, even in their plant in the United States, Fiocchi is the oldest firearms and ammunition manufacturer in Italy, highly respected around the world. 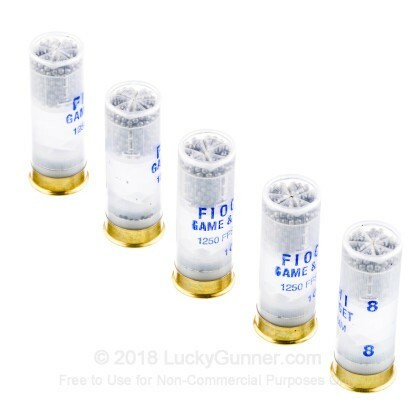 These Fiocchi Game and Target 2 3/4", one ounce, #8 shot shells are everything you need to go blasting clay targets or putting meat on the table. 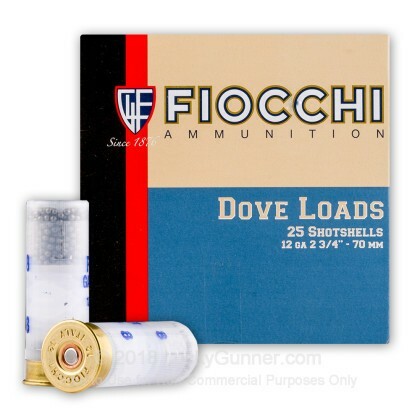 Don't miss out on this great deal on Fiocchi's fine ammo. 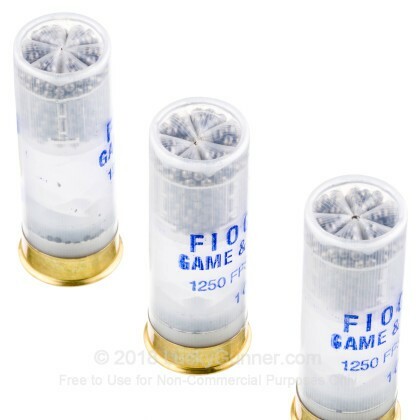 We also have this 12 Gauge - 2-3/4" 1 oz. 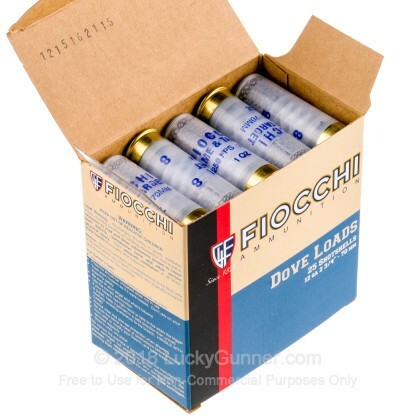 #8 Shot - Fiocchi Game and Target - 250 Rounds ammo in stock in a bigger quantity.